Friday January 18th 2019 I completed the Muscat Marathon 2019 in Oman. Find below my full race coverage plus some tourist impressions from the surprisingly amazing and friendly country of Oman. Oman is just south of Saudi Arabia and that itself might put some prejudicial fears into you, but let´s get it straight right from the top: Oman is a SUPER friendly, interesting and nice country to visit. I had only like three days and quickly realized that I could easily have used 2-3 weeks to exhaust all the stuff there is to explore in this gem of a Gulf State. There is simply everything! A vast, beautiful sea line, desserts, mountains, luxury hotels and malls to fulfill any desire and a warm and friendly outlife on cafées, restaurants etc. As you will find in the report I undertook a 10 hours tourist tour Saturday after the marathon and amongst things I visited was one of the major landmarks in Oman, namely the incredible Wadi Al Shab. I am sure the pictures will blow you away! Muscat Marathon 2019 somewhat unexpected turned out to be an insanely warm and humid experience; even the locals suffered! The race took off from Al Mouj at 6.30 AM Friday morning and the route was partly scenic and partly less so. It was, however, nicely flat all the way and the helpers were friendly and forthcoming. There was a time limit of 6 hours which I just barely met, but grace was given to the last few runners needing a bit more time. I guess the biggest WOW of the event was the chance to meet former elite runner Paula Radcliffe at the race EXPO, I was lucky enough to get a few pictures and a short chat. Great! 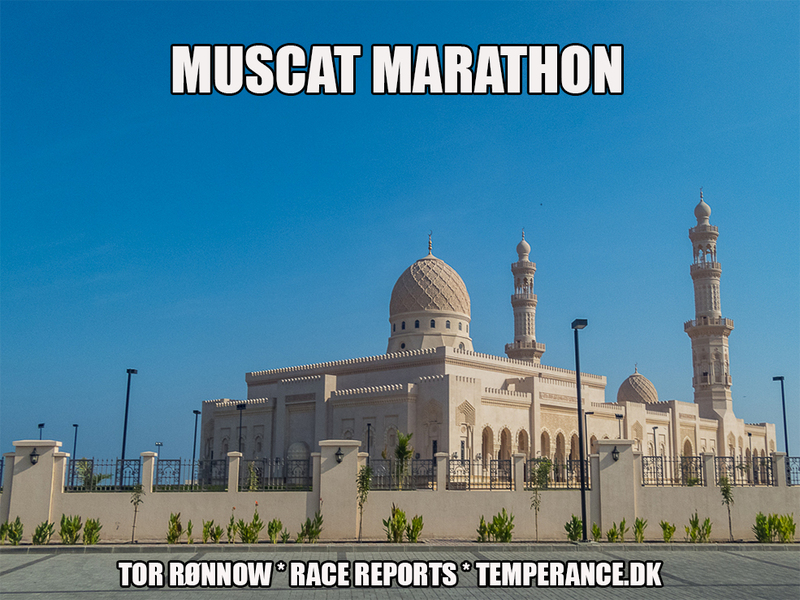 Radcliffe is of the opinion that Muscat Marathon belongs on any runners bucket list, read about that here.